Joel Quenneville — who is second on the NHL’s all-time victory list — was hired to coach the Florida Panthers, who started their off-season with a splash. It’s also a reunion, after GM Dale Tallon hired Quenneville to coach Chicago in 2008 and wound up watching him win three Stanley Cups there in a six-year span. 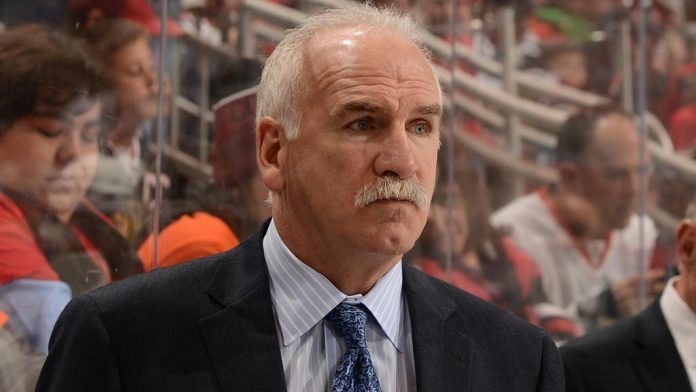 Quenneville’s deal in Florida will be worth north of $30 million over five years depending on bonuses. So $6 million plus a year. He was making $6 million a year in Chicago in his old deal. Tells you how aggressive/committed the Panthers are at making this off-season count. When Tallon read an article that suggested Quenneville was itching to coach again, the wheels started spinning. Tallon — a stickler for rules, so he didn’t directly go to his friend Quenneville first — started by going to Panthers owner Vincent Viola to discuss the option and plot strategy. He then obtained permission from the Blackhawks to talk to Quenneville, who was fired by Chicago in November and was still under contract.